One of the well-known and respected online bookmakers around the European and global betting markets is Mybet. It is one of the largest gambling providers online with more than 1.3 million registrations. The brand is found in January 1998 by Mybet Holding SE and later on it’s acquired by PEI Ltd. (Personal Exchange International Limited). In 2014, the company rapidly expanded its activities and hired more than 160 employees at various locations around Hamburg, Cologne and Berlin. Mybet is licensed in Malta and has its main headquarters located there as well. The office can be found at 60 Tower Road, Sliema SLM 1606, Malta. As one quite influential player in the online betting branch, Mybet is financially stable and responsible betting provider with an excellent reputation among the dedicated gamblers. In 2014 the company had nearly €70 million in profits and it continues to develop its offerings and markets. This traditional bookie is very popular in Germany, but it also serves many other countries around Europe. Players from the USA are forbidden to gamble with this online betting provider. Mybet actively supports many professional clubs from the 1st and 2nd Bundesliga. From 2011 to 2012 the bookie also backed the German Handball Federation. Players from the USA are forbidden to gamble with Mybet, which is not the uncommon case for many European bookmakers. Mybet is an online betting giant with more than 15 000 sports bets available for its clients, as well as extended coverage for thousands of sports events every single week. 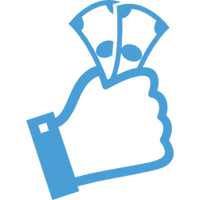 Players will be happy to learn that the bookie offers almost anything regarding sports betting. Mybet also supports other exclusive markets, such as politics and awards. 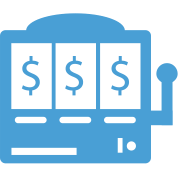 With a well-designed platform and great site architecture, the online betting provider is capable of serving top notch gambling experience for its clients. Also, gamblers are free to use the platform on both desktop and mobile. Live betting is also part of the offering, but it’s currently possible for football, tennis, soccer and ice hockey. Unfortunately for many, the online bookmaker doesn’t support live streaming for now. Apart from sports betting opportunities, Mybet also provides both live and standard casino, poker rooms and other games for any gambling enthusiast. This part of the service is quite developed, and it surely offers a great time for every player. The odds provided by Mybet are quite attractive even for the most fastidious clients. The format is based on the EU standard and in event match you can enjoy 1.90 – 1.90. Of course, there is a €0.2 minimum on wagers and the daily limit on the winning, which is set to €30 000. The overall betting margin is 6.5% according to the statistics so that recreational players will be happy with their bets. But if you are a fan of football and like to spend a great time with your favourite game, well, this is the place to be. Mybet is mainly focused on football betting and allows gamblers to employ many different bet types and schemes. Almost all known options are available. For example, players can take advantage of 1×2, correct scores, odd/even, under/over, half/full time, double chance, handicaps, corners, cards, results for each half, goalscorers, time of first goal and many other interesting outcomes. System bets and combinations are also presented for registered users who love to build a complex betting tactic. Talking about a great experience, we just can’t miss the high level of security associated with this online bookie. 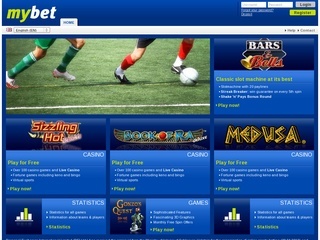 Mybet employs SSL encryption for its platform certified by Thawte. On top of this excellent protection, the company also has ISO certification for IT security standards or TUV Austria/Germany. The online betting giant is also regulated by GamCare as a fair gaming organisation. The customer care department is highly trained and responsive. There is a phone land line available seven days a week from 10 AM to 10 PM (GMT +1). Clients are also free to contact online via live chat system or email. Mybet’s staff is usually capable of handling a problem fast and without any complications. The representatives are also polite and very helpful. The deposit methods are various and surely include lots of options, but when it comes to withdrawals, choices are limited. Most of the payment methods are instant, and some of them have just a few days waiting time. There is only one currency accepted, and this is the Euro, but this is a normal procedure for a bookmaker, which is mostly focused on the German and Austrian market. Players can enjoy a detailed transaction history as well. Now the sweetest part of all. There is a nice welcoming bonus for every newcomer. Players who deposit from €5 to €100 can get the full amount of their investment as a cashable bonus. The requirement of this free cash amount are as follow: within 30 days the newly registered user have to roll over it five times, on minimum odds of 1,50. The bonus code is start100. This bonus can be used exclusively in sports. Dedicated gamblers will be happy to learn that Mybet offers excellent loyalty programs for its long term players. VIP Club membership is available for casino and sports betting players. There are numerous benefits for those who made it to the top members and some of them are: monthly cash bonuses, much faster payouts and increased deposit limits, special support services with high priority, VIP welcoming bonus and various special promotions on a weekly basis.